由@胡歌 精彩呈現的#Emporio Armani#2019春夏眼鏡係列，以迷人線條增添奪目神韻， 將醇厚色彩與玩趣美感演繹得淋漓盡致。#胡歌# #wearsEA# #胡歌代言EmporioArmani# ???? 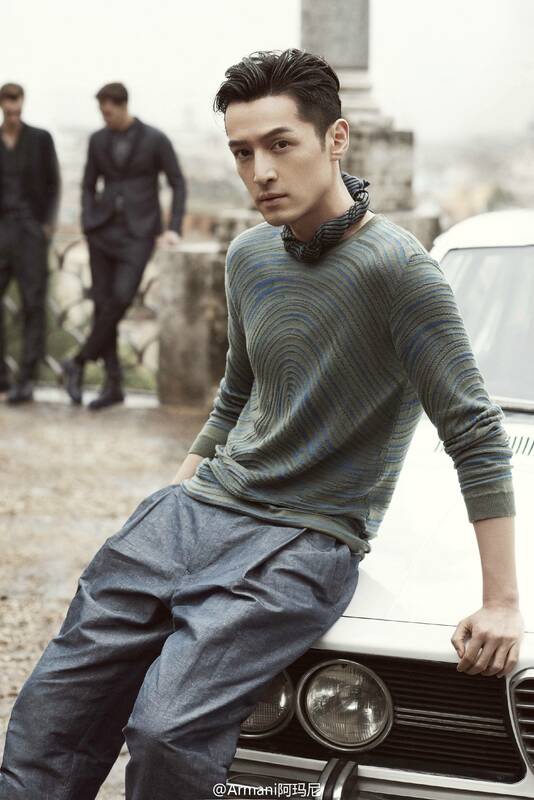 Emporio Armani announces Hu Ge as the brand ambassador of China and Asia Pacific. Hu Ge is the new face for Emporio’s upcoming Spring/Summer 2017 campaign, shot in Rome by photographer Lachlan Bailey. Having a successful drama career and many awards under his belt, the Shanghai-born actor is a household name in mainland China media. Giorgio Armani feels that Hu Ge is the embodiment of a modern man. “Hu Ge is a very talented young man with a great combination of contemporary style and sophisticated oriental wisdom. He does everything with great care and passion. I’m excited to collaborate with him as he demonstrates the urban modern man combined with an elegant and dynamic look which makes him the perfect fit for Emporio Armani. ”, said Giorgio Armani. Hu Ge feels incredibly honoured at the news as well. He said, “It’s a great honour for me to be in the new campaign of Emporio Armani. I respect Mr. Armani as a great designer representing classic, sophisticated and up to date design, as well as the man who build the whole empire of lifestyle whose story will encourage every young man including me to stand up to ourselves.”.